Sure. But it’s my job. And as a fellow teacher once remarked, “Reading some of them is like getting hit in the forehead with a hammer with each sentence.” Yes, and again, that’s what we’re paid for. And I get to sit on my couch and listen to the Beatles while I grade. Comma splices are the bane of my existence. Actually they’re how I justify my existence. I tell myself, I’m giving them practice writing and teaching them that comma splices are bad. Showing them all the good punctuation options. Not to mention cluing a few of them to the utter ignominy of the run-on. I remember so vividly my own dawning awareness of original sin, as an undergraduate, when a professor circled my comma splice. In my memory it’s actually in a blue book—though why even an English professor would bother to correct a comma splice in a handwritten exam flummoxes me. “Don’t use comma splices,” he wrote. I marched right up and asked him what that meant. He explained that a comma wasn’t sufficient to join two independent clauses. Right! I was studying writing on my own, so I saw it right quick. Today comma splices sometimes bother me even when a professional writer uses them intentionally. Or even when I do. Except when the clauses are real short—but I take note of them. I can’t help it. Okay, buddy. I guess so. Might’ve used a nice semicolon there, though. And if it’s mine, I usually change it. Whereas I love sentence fragments. Usually. Most of them have been up all night tying tobacco sticks, their hands are stained black with nicotine. Now, I’d cut the “are” in the second clause so that it becomes a dependent clause and the comma correct. Thing is, he may have wanted the strength of “are”—and no semicolon, though he uses them elsewhere. So there you are, a splice. Yes, it works. I don’t favor it. At home the Christmas tree is up, your mother cooks shrimp Creole for you. This one bothers me more, since the two clauses have different subjects. The theory I’m working on for why Richard uses the occasional splice is that they’re a way of strengthening the second-person voice of his young narrator (himself). I say that partly because there’s nary a dash in the whole book. Dashes would heighten the sense of the author at his desk, manipulating the story, I believe. 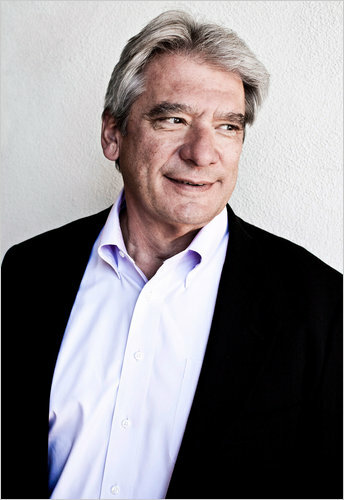 As it is, however, Richard seems to hover outside his narrative in some “now” beyond the story, even though he uses present tense (which very much emphasizes the action “then”); this is because although second-person point of view would seem to distance him from the narrative, in an odd way it emphasizes that there’s an author behind the scenes. Plus, he sometimes writes from others’ points of view, as when he imagines his father’s, and that emphasizes the writer at work and his shaping, retrospective view. While few beginning writers fall into complex sentence patterns, subordinate clauses and the like, many naturally pitch headlong into comma splices. Maybe humans think or talk that way. I’ve heard comma splices are accepted in German prose. I have two classes of freshmen reading Richard’s exciting memoir, but none will notice his splices unless I point them out. So I don’t think it will worsen the fault. In fact, the more a student has read the less likely he is to splice and the faster he will correct the fault once it’s flagged. My wife, an administrator, chastises me for my obsession with a minor error that hardly hurts meaning. Then she teaches her one freshman seminar a year. And starts complaining about comma splices. The brown dog barked, the black cat ran. Now, yes, it works, this sentence—it’s mine. Theirs are worse. And where will it end if I cave? Despite my fixation, I sometimes pause before I circle the splice, because most students barely use commas as it is. “That’s a comma splice,” I say, and explain, as it was told to me so long ago. I’ve also developed a page-long sheet, which shows the sinner all the great punctuation he’s leaving on the ground. The brown dog barked; the black cat ran. The brown dog barked—the black cat ran. The brown dog barked, and the black cat ran. The brown dog barked the black cat ran. And just like that, I’ve turned a mere comma splicer into a run-on fiend. Someone who doesn’t even tap his brakes at the intersection but who shoots his car right through. Someone who bloodies his reader’s nose as he lurches him from one clause and smashes him into another. When I retire from teaching in a few years, surely I won’t miss my foe the comma splice. But I’ll sure miss grading along with the Beatles. There’s a judicious post at Sentence first about comma splices. I wonder whether the apparent rise of the comma splice has a lot to do with the fact that the semicolon has fallen out of favor and is considered by many to be old-fashioned and musty. I suspect a lot of writers wouldn’t go for your option one (“The brown dog barked; the black cat ran”) because they just don’t like semicolons, while your other two rewrite options could be seen to stray just a little too far from the original. The other option is to separate the clauses with a period, but that produces a staccato effect that might not be welcome. If semicolons somehow developed street credibility, there might be less comma splicing, and fixing comma splices would certainly be a lot easier, but I really can’t see semicolons ever coming back into fashion. Thank you, Marcus. I hadn’t linked the comma splice consciously to the decline of the semicolon. You may be right. The vast majority of my students are competent writers, just not professional ones. And especially if young writers aren’t seeing as many semicolons, they are more apt to overlook them as an option. Partly this is also a matter of individual writing experience. Even the honors students I teach are sparing with commas, use few semicolons, and don’t know how to use dashes at all. I confess that for many years I found the semicolon physically ugly, which is I presume why some famous writers like Vonnegut hated it. I still find it kind of ugly, but it has grown on me. I also find semicolons ugly! But I enjoy seeing them used correctly. As a poet, I have never used them in a poem–the dash is more my style! Thanks for the good read. 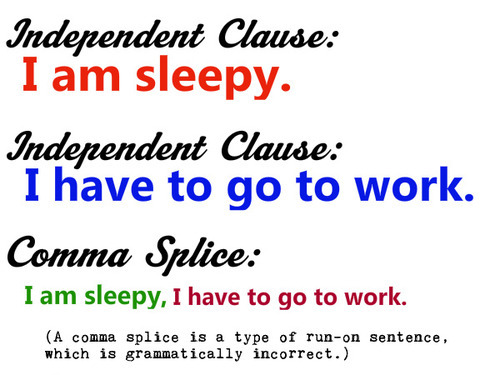 Never thought I’d read a grammar essay on comma splices twice because it was so delightfully presented. 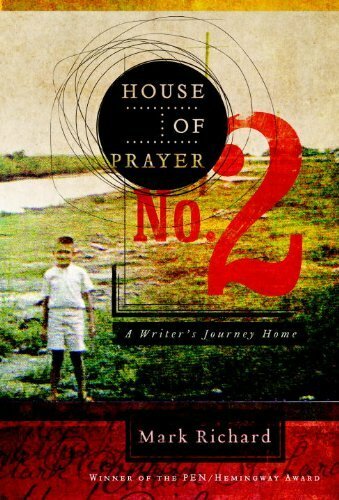 I suspect that if I read House of Prayer No. 2, I’d find myself wanting to take a red pen to those commas. My eye was twitching just reading them. I lean too heavily on the semi-colon, myself, and have to look back through my work to see how frequently I’ve used them and to what effect. I know what you mean, Sarah. And a new obsession with me is mentally putting in or taking out commas in another writer’s work! There are so many ways to punctuate . . . with such differences in effect. My pet peeve: the past perfect used indefinitely. I can see grounding the reader in something that happened in the past, “I had traveled to Europe when I was eighteen.” Something like that, but when it goes on and on, I start editing in my head. I think I first noticed it in Joan Didion’s _A Year of magical Thinking_ and I forgave her because of what she suffered. But I see it more and more these days, especially from authors who I think no longer have editors hovering over their shoulders. But regardless of my peeves, I certainly enjoyed your rant on comma splices. Sarah, I know what you mean about past perfect. I find it really hard myself to find the right balance. In one mood I will put in a bunch of “had”s and in another, take them out! Hi, Richard. I suspect all writers who teach grammar have favorite demons, even more than all grammar teachers who teach grammar have. And writers who teach writing have even more. The comma splice is not my error of choice, precisely because the semicolon and the colon are: I sometimes overuse them, have accidentally before used them interchangeably, and tend to use them as emotive punctuation. And there’s where the ugly dog barks, I feel: people make mistakes with punctuation because they are using it emotively, to replace “legato” or “rallentando,” or “largo” in music. They use it to mark how they’re feeling and to instruct the reader where to pause, where to stop and then start again, where to read without pause. And only some of these instructions are correctly seen the role of these punctuation marks: the others are the writers’ guesses. Not everyone guesses correctly all of the time, so we get such things as your comma splices and my private bugbear, the run-on sentence. Anyway, that’s what I think is happening. For some reason, the comma splice is not a common error among my students who are mostly first or second generation immigrants to Canada, or international students from Southeast Asia or the Middle East. For many–maybe even most–English is not a native language. What is fairly common, however, is using a semi-colon where they should use either a comma or a colon. Like you, shadowoperator, I sometimes think they use the semi-colon to suggest an intuitively long pause, as if it is a super-comma. The tricky thing about explaining the rules of punctuation to contemporary university students is that they don’t have the vocabulary for it. I can’t say, “Either a semi-colon or a period separates two independent clauses” without then explaining what a clause is, and the difference between an independent and a dependent one. They didn’t receive much grammar training. And this isn’t a new problem–as an American high school student in the 90s, I learned all my English grammar in Latin class. Students who have learned English later in life often learn through memorization and repetition. For most, the understanding of punctuation is more intuitive than technical. (As Joan Didion said, “grammar is a piano I play by ear.”) I suspect it doesn’t even occur to them to look up the rule to see if their commas are applied correctly. Dear Mandy Len, Even if one has had grammar classes in English at some time in the past, it’s like every other sharp blade, it dulls with inadequate or inappropriate use. I’m a good deal older than you (I was in high school in the early 1970’s), and we received excellent and complete grammar instruction from grade 1 through about grade 8. This included diagramming sentences, which I think is the one best tool a teacher can use, if only one were there to be used, to teach students grammar. Then, suddenly, when I was in about grade 8, the “fashion” shifted. I didn’t get any more good grammar instruction until college, when, as was the case with you, I took Latin. Latin really helps, as do other languages to a lesser degree, but particularly Latin. But then there was a big brouhaha because, as was said, English is (supposedly) mainly a Germanic language, and Latin is not, so “one” shouldn’t teach English on the model of Latin. But this is not correct. It was not that we were being taught to put the subject in varying places in the sentence as in Latin, or to put the modifier far away from the word it modified, as in Latin: rather, we were being taught the names of parts of speech and grammar by comparison with the Latin paradigms, and it incidentally helped us in our English. I would give anything, just for my own use to review and remember, if I could find one single basic old textbook which had copious models of sentence diagramming in it. It would be one antique which I would buy almost without looking at the cost. Mandy, in fighting the comma splice, I also turn some students into flagrant semicolon users, throwing them in where a comma is called for, cutting off dependent clauses. It drives me crazy. Interesting, Victoria. I have long thought that punctuation holds the key to conveying the emotion of sentences. I mean, even a simple period determines so much in terms of rhythm. The colon is not used enough, I think: often it should be used instead of the more common dash, for instance. Ha! Very wise, Shirley. Tip: Don’t correct every last thing . . . I hear you, Paulette. I just got my memoir edits back from a real editor, an expert in Chicago style, which I’d called myself writing in. Ha! Talk about humbling. The decline of western civilization started the day public schools stopped teaching sentence diagramming. I’ve been curious ever since. Have the rules changed (since the 1980’s, and if so, when did this happen? Perhaps the rule is that it’s okay to make up your own style, as long as you’re consistent. I like commas, but I’ve been told quite a few people find them annoying on the page, like when a person, like, sprinkles her talk with likes. I don’t think the rules have changed! What that teacher meant was, I don’t understand the rules and don’t follow them. But if your friend’s son’s paper was punctuated correctly, he should not have been marked down for it! I know, I know–I think it might have been one of those power-weilding things that a few intimidated young people do in the early years of teaching high school. I’ve met a few who just don’t know what to do with the fact that they’re supposed to be authority figures but are only five or six years older than their students and young enough to be their students’ parents’ children. This late in life I’m hearing about the comma slice for the first time, thank you.